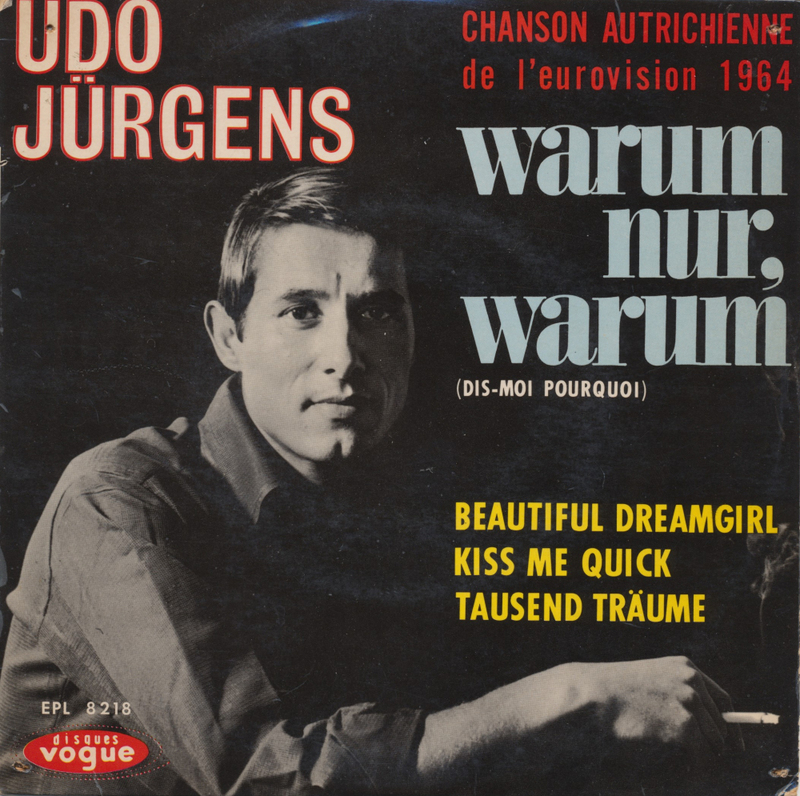 Udo Jürgens made a name for himself in Eurovision history by winning the 1966 edition with 'Merci Chérie'. 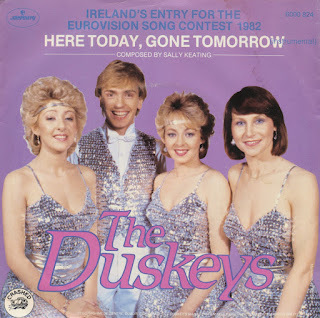 What many people don't know or seem to forget is that he actually represented Austria in three consecutive editions. 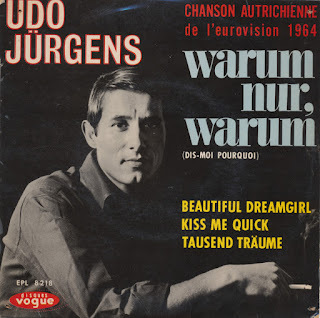 He started in 1964 with 'Warum nur, warum'. 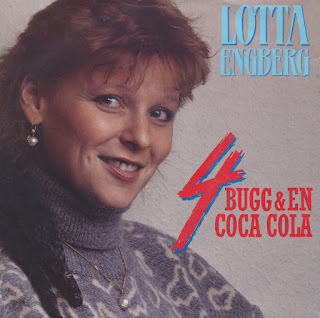 In the song, Jürgens wonders why flowers are dying and the object of his affection is ignoring him. 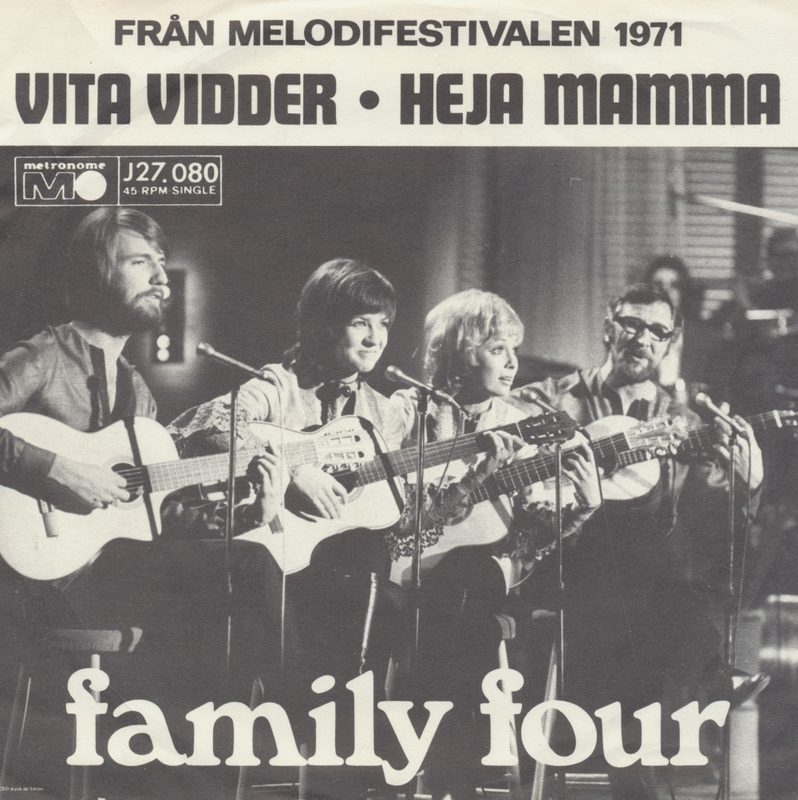 The song finished in sixth place in a field of 16 competitors. This French EP features two songs in German and two in English, showing the multilingual qualities of the singer. 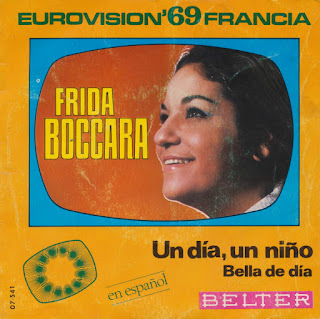 One of the most beautiful Eurovision melodies of the Sixties must surely be 'Un jour, un enfant' by Frida Boccara. 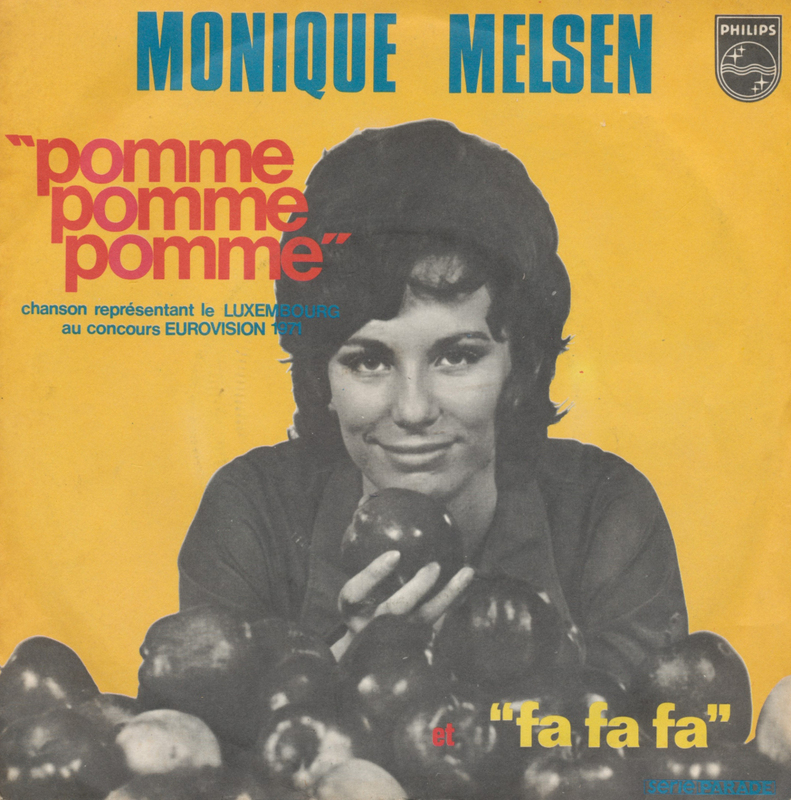 She was one of four winners in the 1969 edition, together with the Spanish, Dutch and UK entries. Boccara recorded the beautiful ballad in five languages: the original French version, English, German, Italian - and this Spanish version. 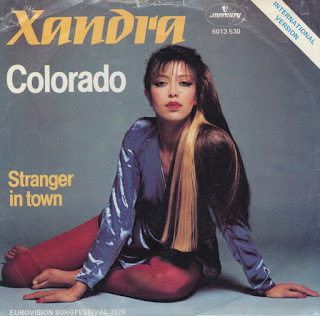 It is not easy to find these versions for a reasonable price, so I was happy to snap up this Spanish single for the tiny amount of 1 euro. 'Qué bueno, qué bueno!' 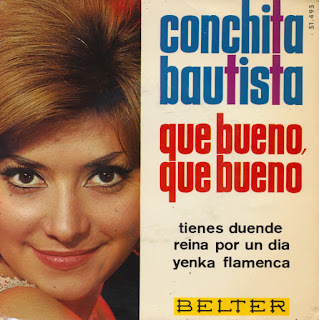 was the Spanish entry in the Eurovision Song Contest 1965, performed in Spanish by Conchita Bautista. 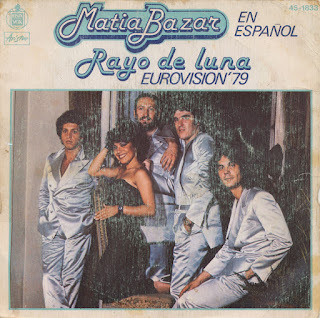 This was Bautista's second appearance on the Eurovision stage, in the 1961 Contest she had performed Spain's very first entry, 'Estando contig', then placing ninth in a field of 16. 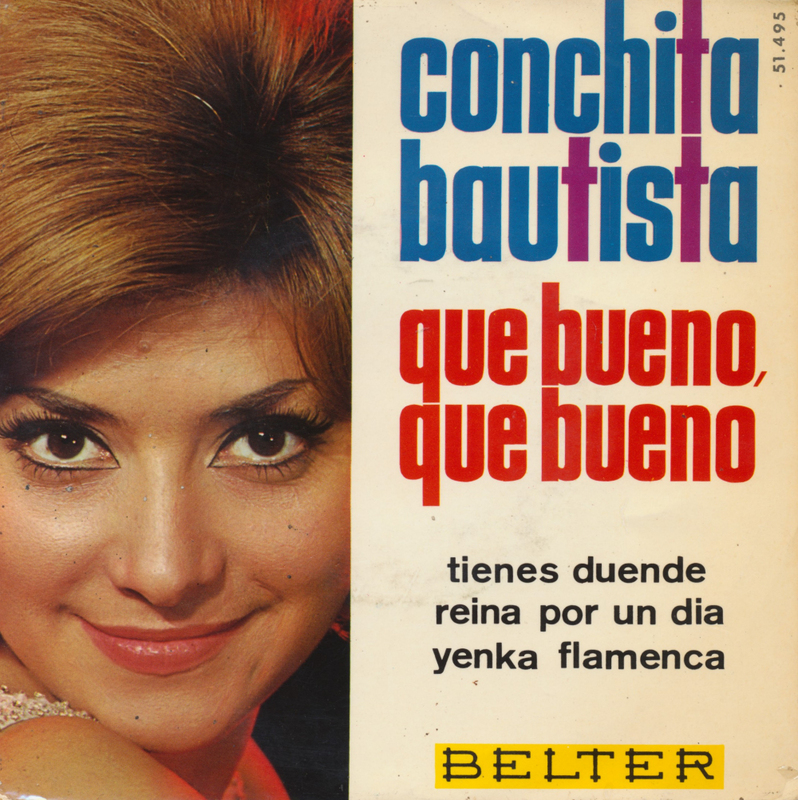 In 1965, Bautista came through a very convoluted selection process to win the national finals in the end with 'Qué bueno, qué bueno!'. On the Eurovision stage, the song was performed third on the night. At the close of voting, it had received the dreaded nul points, 0 points, placing 15th (equal last together with Germany, Belgium and Finland) in a field of 18 competitors. 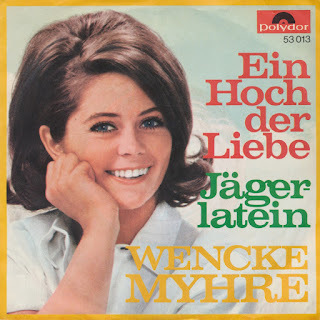 Wencke Myhre was born on February 15, 1947 in Kjelsås, Norway, and became a popular singer after signing her first recording contract at the age of 13. In 1964 and 1966 she participated in the Norwegian national finals for Eurovision, but in the end she appeared on the international Eurovision stage for Germany with the song 'Ein Hoch der Liebe' ('A toast to love'). 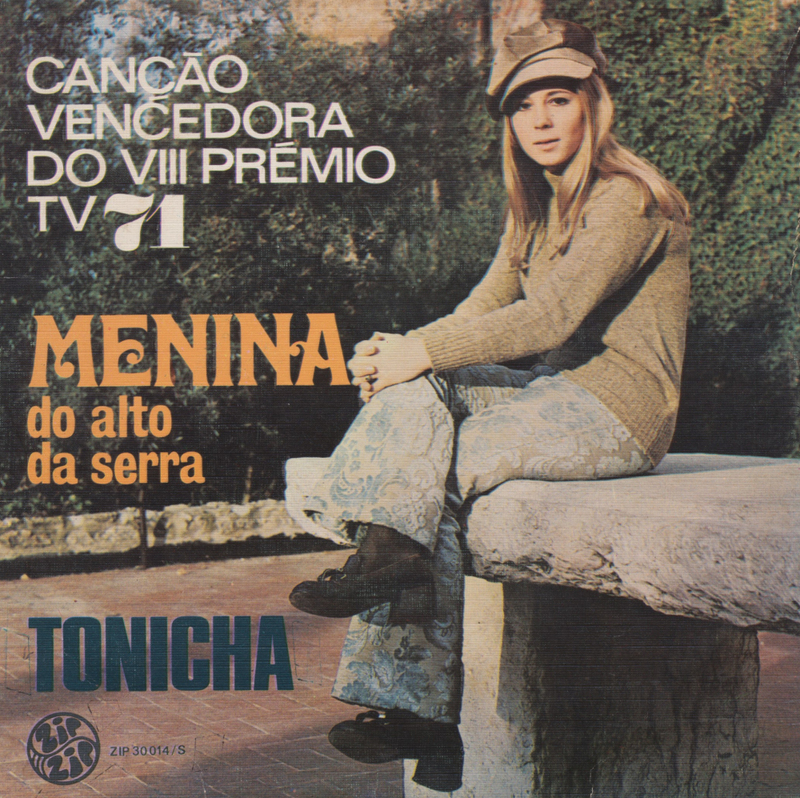 The song ended up in sixth place in a field of 17 competitors. After her Eurovision appearance, she managed to have four more top 10 hits in Germany between1969 and 1978. Myhre tried her luck in Norwegian national finals again in 1982 and 1983, and finally in 2009. It doesn't happen very often that I buy a single that I have been looking for for years, but today is such a day. 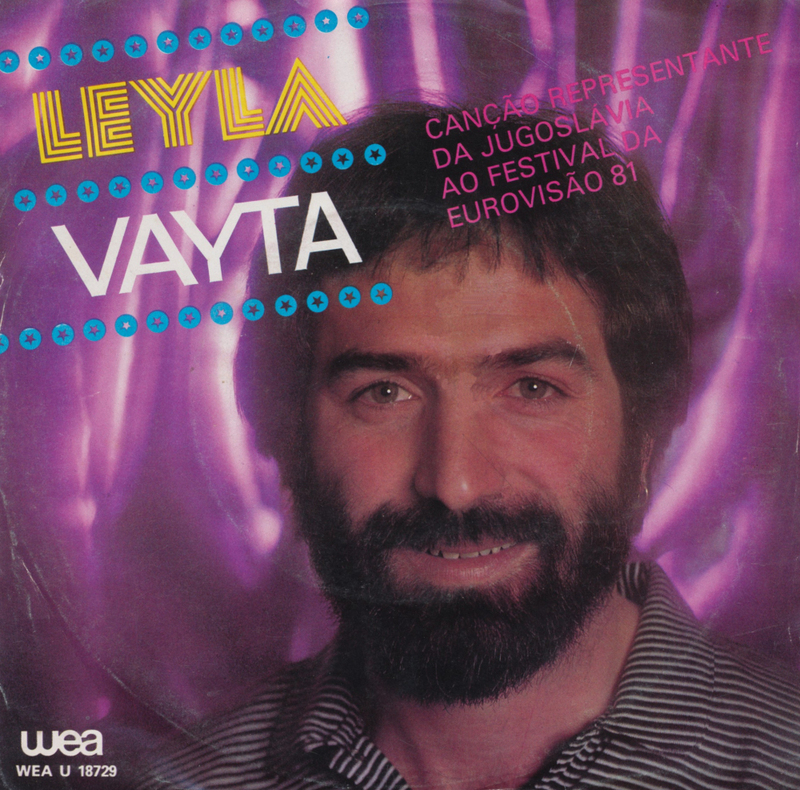 I started collecting Eurovision Song Contest winners a few years ago, and I managed to buy them all on vinyl - at least until they stopped releasing winning songs on vinyl in 1995. 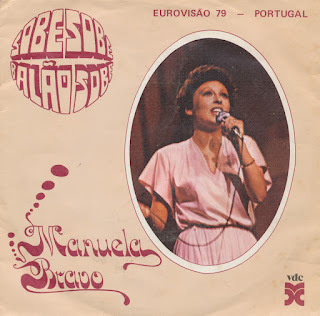 The only one I was still missing was the very first winner of the Contest: Lys Assia's legendary 'Refrain'. That is, until today. I found a copy on Discogs from a Belgian dealer, and after haggling just a little bit I managed to get my hands on this one. 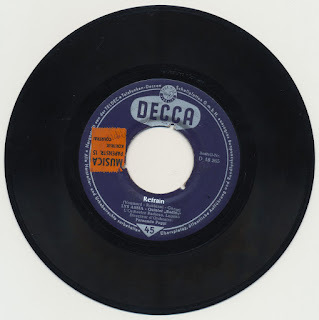 It may not be the best copy ever - the pushout centre is missing and there is no picture sleeve, although I suspect this one was released in a record company sleeve anyway - but it is mine. 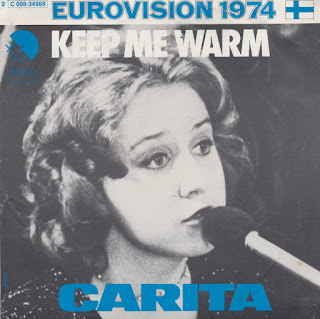 Collecting Eurovision Song Contest singles is both a joy and a pain. 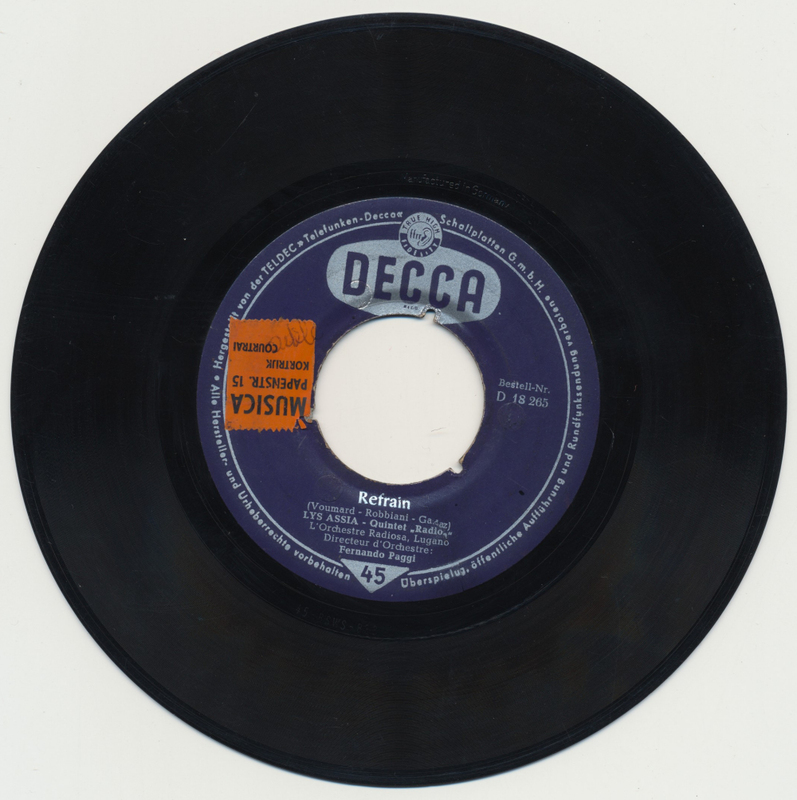 The older the singles are, the more expensive they get. And in the case of artists that became famous, they can get very expensive indeed. You can imagine my surprise when I found this single by Nana Mouskouri in a thrift store during a day out in Haarlem. 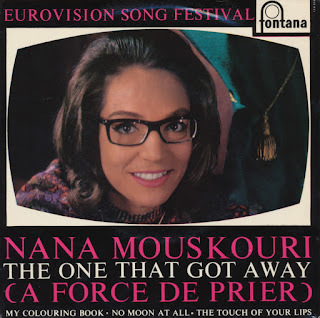 Nana famously participated in the Contest in 1963 with 'A force de prier' for Luxembourg, but I haven't found that single until now - at least not for a reasonable price. This single features the English version of that song. After buying the single I checked online what it would cost me... Well that would be at least 30 times as much - not including shipping. My day started well. Spanish singer Massiel won the Eurovision Song Contest in 1968 with the song 'La la la'. 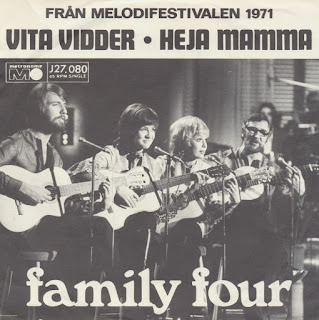 It was a much-criticised win, which 40 years later was revealed to be fraudulent. Whatever the facts, 'La la la' remains a curiosity: in a contest that has given us many 'la's through the years, this song probably used that two letter word the most. 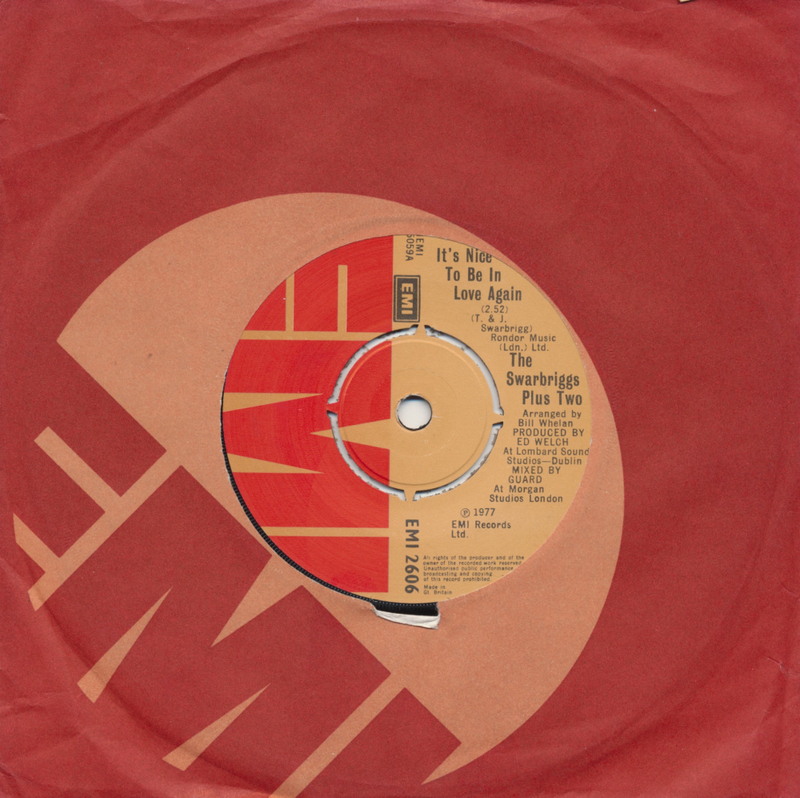 I didn't know until recently that a live version of the song existed and was put on a B-side of a single. 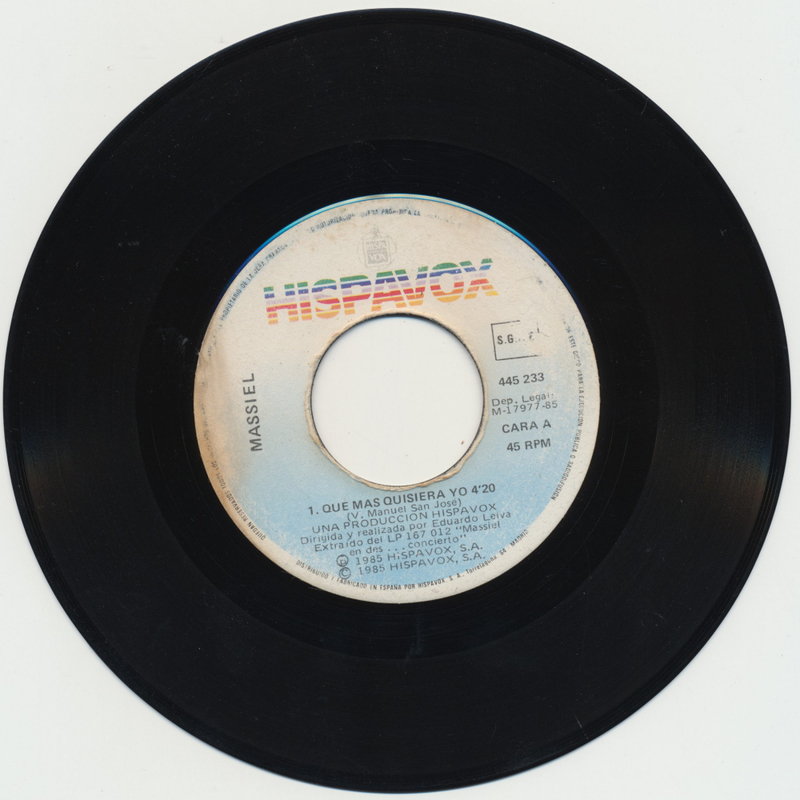 In 1985, Massiel, who was still a performing artist in Spain after all those years, released 'Que mas quisiera yo', with 'La la la' in a live version on the B-side.